Free underground covered parking throughout the year. Live music is played at our Piano Bar every night during the winter. Prime Steak House and Piano Bar offers a variety of private dining and party options for any occasion. From corporate retreats to wedding receptions to super bowl parties, Prime Steak House and Piano Bar can handle any type of private function. Whether it's a 15 person cocktail party or a 125 person formal dinner, we can accommodate your needs. Located right across the street from the town lift at the bottom of Historic Main Street, Prime Steak House and Piano Bar offers guests a dining venue close to everything in Park City. After a hard day of skiing or for an elegant night out on the town, Prime Steak House and Piano Bar is in the heart of it all. 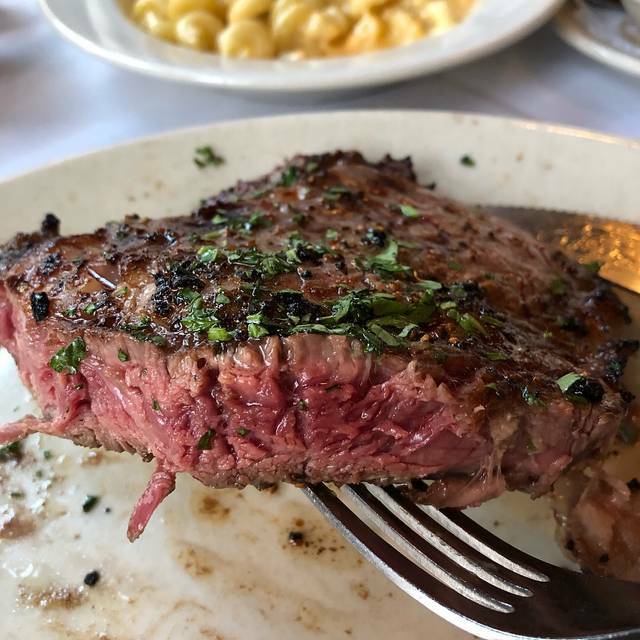 Prime Steak House and Piano Bar offers outdoor patio dining with mountain side views in the summer, and underground covered parking throughout the year. 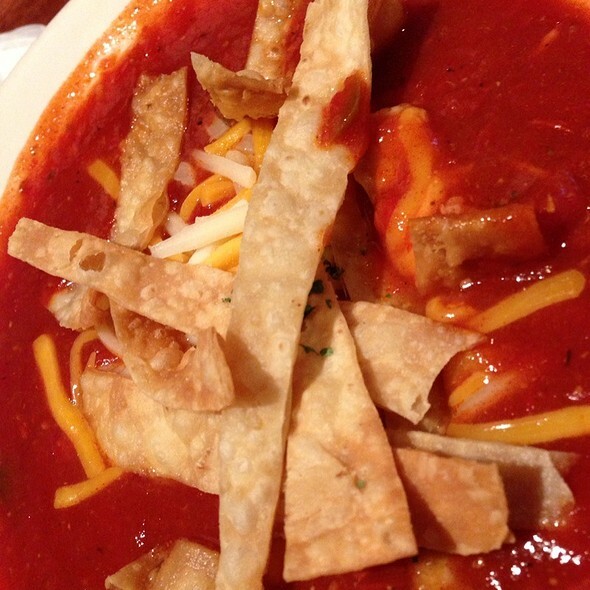 Reservations are highly recommended year round. Superb place to dine with an awesome atmosphere! All of the servers were very warm, professional and knowledgeable. We dined in the piano bar and it was so much fun. Always the best food and piano bar atmosphere! 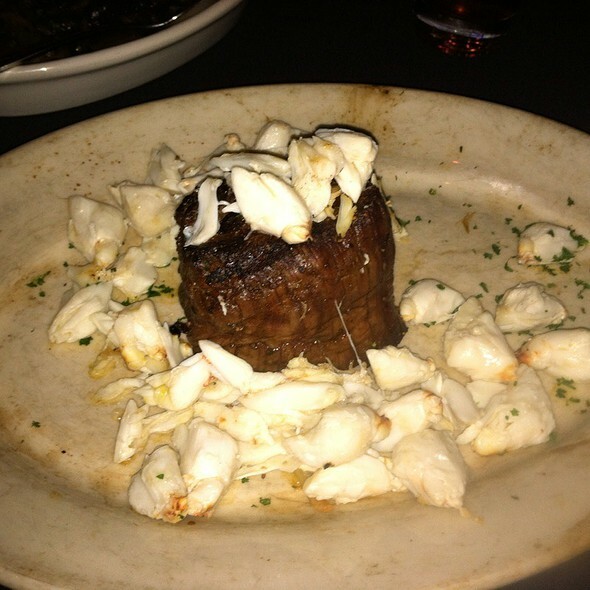 I was not impressed with Prime Steakhouse. I guess I have high expectation when I pay 50.00 for a steak. Being from Dallas I guess I have gotten spoiled with excellence in steakhouses. Part time resident and this is my “go to” restaurant when I am in Park City! From the Front Desk hostess (Taylor this time - she greets with a big welcoming smile to start the night off!) to the bar tenders, musicians and the best wait staff in Park City, every time they hit a home run! And the food! The Best! Whether it’s just my wife and I or when we bring friends everything is great! Celebrated my sisters 40th birthday. Piano is tucked away in bar so we weren’t even close enough to hear it. Restaurant configuration was odd. Got off to a great start with apps and salad and then waited o we an hour for steak. A table of 7 was seated after us and was done with their entire meal before we got our steak. They weren’t that apologetic until we complained. They did take the steaks off our final bill after we asked. Was disappointed overall as it was a special occasion. Then after dinner we went to piano bar area only to find out they were done playing for the night. Great food and ambience for tired legs! Charged 2 (x20$) corkage fees which feels over the top for already overpriced menu. Good steak with good service at a high price. One of our favorite spots when we come to town. Reliably good. Our server was delightful and efficient. The food cooked to our preferences. Plus the singer at the piano bar last Saturday was phenomenal! It’s a ski town restaurant attempting to be a high-end steakhouse. Service ok at best, entrees were good but way overpriced. Beet salad was so cold and came to the table so quickly that it was clearly made hours ahead of time. Lastly, it’s a piano bar that only had a guy playing a guitar. Very disappointed!!!! We had to send a steak back to the kitchen twice to get it right and drink refills were scarce. Will never go back!! The only thing they have going for them is the piano bar. Don't waste your time on the 20 minute chocolate dessert either. The food was not as good as we hoped based on ratings. The service was outstanding. Ate in piano bar. Food was amazing and service was excellent. Definitely would come back next time in Park City!! It was our last night in Deer Valley! Great way to end or ski vacation. 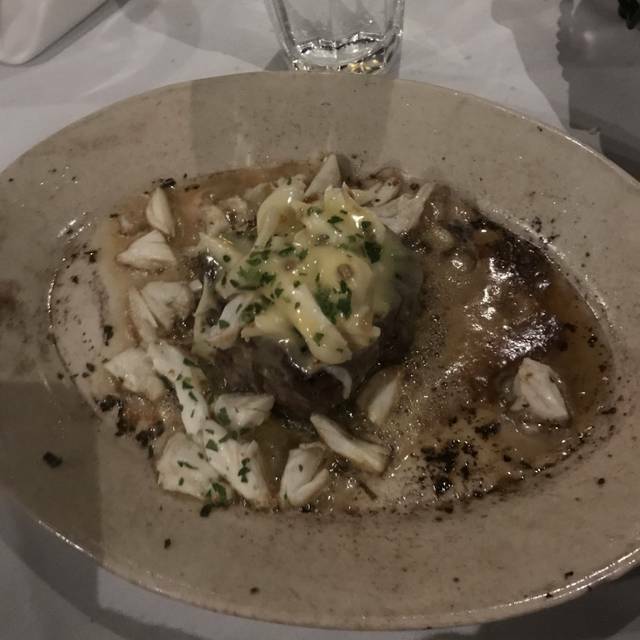 I had the filet with crabmeat and bernaise sauce which was the best I ever had. .. The music At the bar was awesome - acoustic guitarist - very personable ..
On vacation from the east coast and this is my and my boyfriends FAVORITE date night stop when we’re in Park City. We make it a point to make sure Prime is on our to do list. 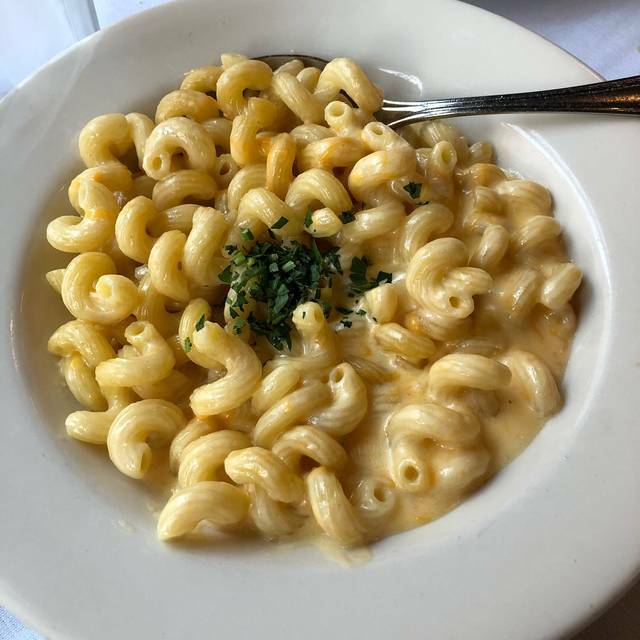 The only difference this time was the portions you usually split and are enough, this time we split the Mac and cheese. We figured at the end of the meal we should have gotten two. Overall, not a complaint. The server was attentive and service was fast. Although we wouldn’t have minded a longer dinner to relax. We will be back next time we’re in town and will continue to make it our Park City date night spot. Steaks are supreme here. Served sizzling & cooked to perfection on a 500 degree plate. 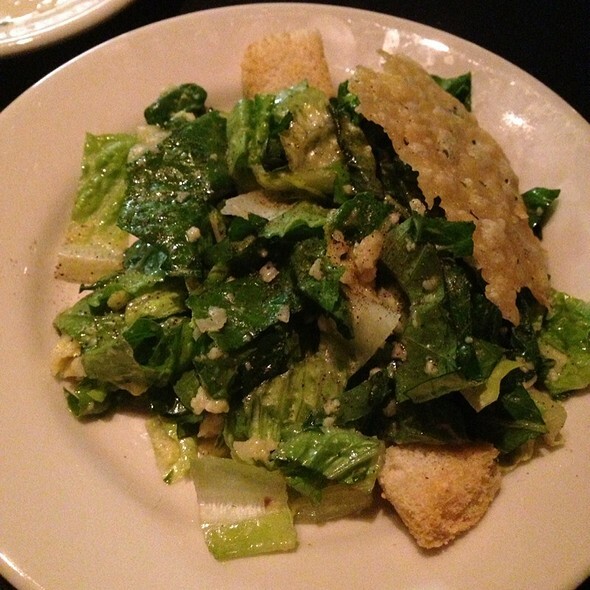 Wedge salad is one of my favorites. We eat here every trip to Park City. Servers are friendly. Piano bar great fun but very small so hard to get a seat. 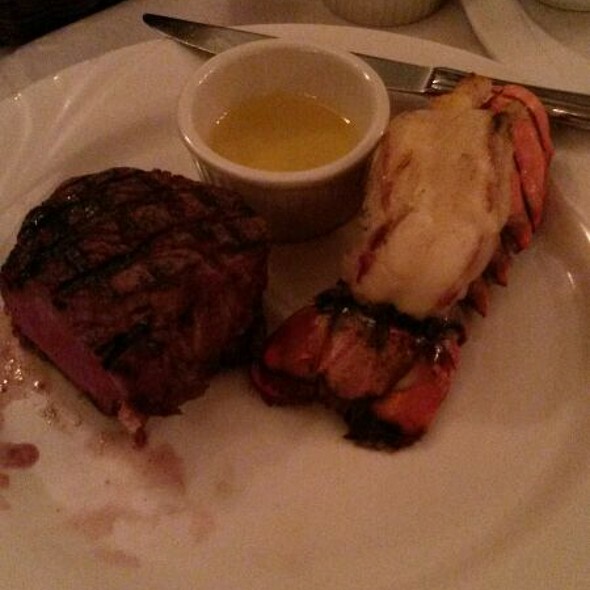 Prime never disappoints! The entire staff is very attentive and the meals are superb with attention to detail. We have eaten there three times this winter. What more can I say? Good Steakhouse with terrific piano bar. Most seats are in a separate dining are so you have to request piano area if you want music with dinner. What a great evening! We ordered the NY Strip and the Dry-Aged Bone in Rib-Eye. Everything was cooked to perfection and our server Brian was a true pro. We dined in the Piano Bar and the woman playing/singing was fantastic. We’ll be back! Excellent steak. Cooked perfectly and served on a sizzling plate. Friendly staff. The usual steakhouse menu. The steaks were very good but we seemed to be rushed thru the meal. When we tried to have an after dinner drink in the piano bar we were informed that it was reservation only. The food was to die for!!!! Our server Andres was amazing and Lexie was a delight! Thank you for making our anniversary so special! Great night out during vacation. All around solid everything. Service, food, all. I would highly recommend. Great food and service. Dry aged particularly good. Some good options other than steaks. Everything was good save the artichoke appetizer which was bland. The dipping sauce was olive oil. It was tender and cooked properly but chunks of tomato, no seasoning and a cup of olive oils didn’t cut it. Our server was excellent. She was attentive, knowledgeable about the menu and had a wonderful sense of humor. 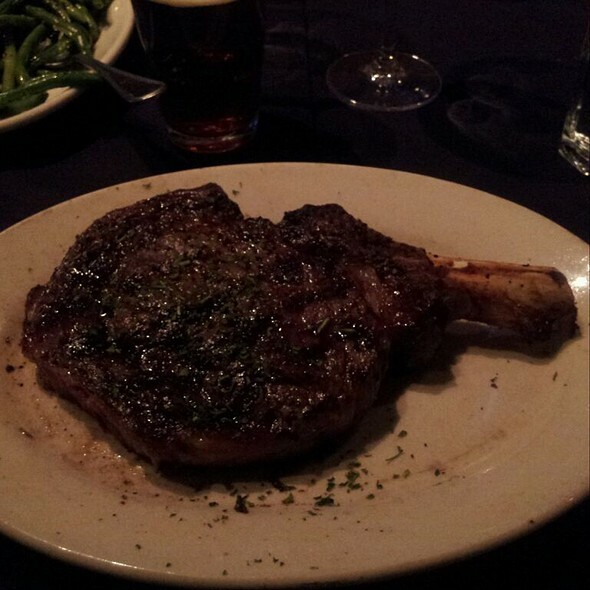 We really enjoyed dining at Prime Steak House, great food, wine and service. We didn’t eat it all so they packed it up and we had it the next day and it was just as good. Would definitely go back and would recommend them to anyone. Food was fantastic as always. We dine at Prime every year on our annual ski trip. Brian was our server. Excellent service! Highly recommend. Great service, great food, thanks Tyler! The best meal we had in Park City. 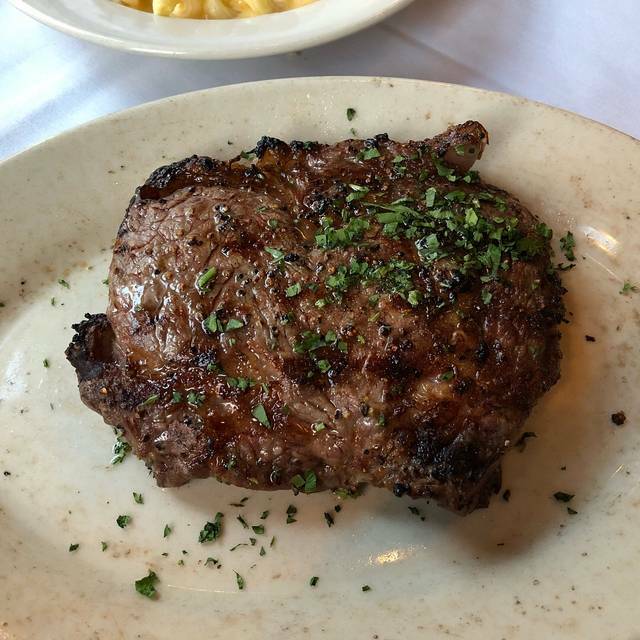 The flavor of the Ribeyes was outstanding and cooked perfectly. Highly recommend. Ian, our server, was exceptional. He was very attentive and friendly and made sure everything was perfect. The piano player and singer was phenomenal, a truly wonderful experience. Thank you! We have been coming to Prime for years and it just keeps getting better! The food and ambience were terrific and I highly recommend it! Awesome food, service, and piano player in the bar. Bravo....again. A Park City favorite when in town. Highly recommend. Expensive but very very good and well worth it! Annual girls trip to Park City was fantastic and we tried dining all around to experience as much as possible in our 5 night stay. This was our least favorite, as the food was over priced and not nearly as good as the prime steaks we buy and cook at home. It’s just not that difficult to grill a good steak. 3 girls, one glass of wine each, 2 shared sides, no dessert = 325. I don’t mind paying that for an excellent meal but ours was ordinary.